My heart is so full this time of year. We spent the weekend celebrating the holidays and it feels really magical getting to do the things I grew up doing with Van. We decorated the tree, made 17,456 cookies and watched carolers at a little boutique near our house. He thinks the Christmas tree is the best toy he’s ever received and loves sitting on the counter with me while we mix various doughs for cookies. It really is the best time of the year. I don’t know if these muffins are actually muffins or cupcakes in disguise, but I know that they are good. 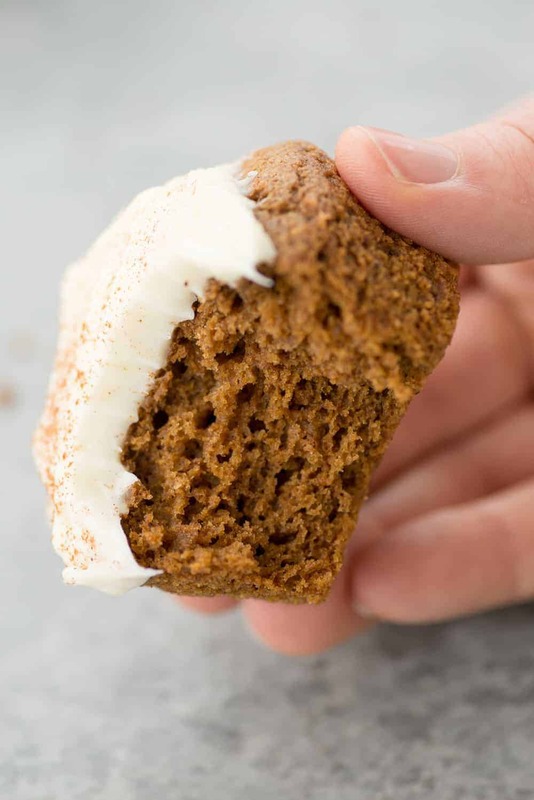 And packed with gingerbread flavor, perfect for just about any occasion this month. 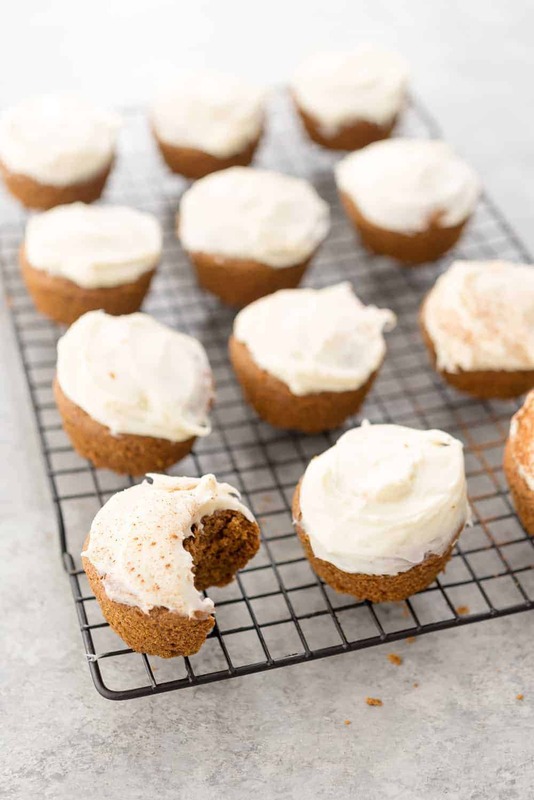 I like that you can go either way with these; lightly sweetened muffins if you just want a muffin or top with cream cheese frosting for a decadent muffin/cupcake treat. 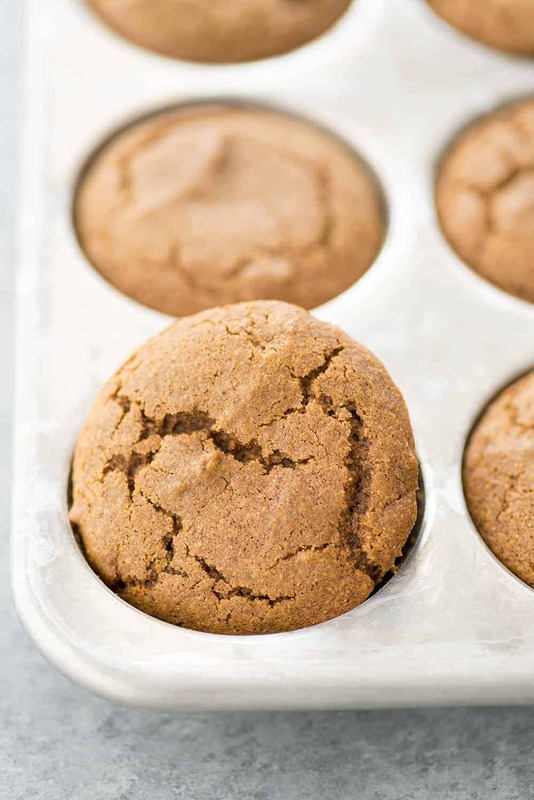 One quick thing about baking– do you sift your flours before making cookies and cakes? 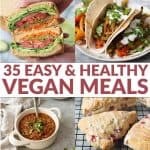 You know I’m the world’s laziest baker and obviously fall into the NO camp on this one BUT I’ve started doing it recently and it’s a game changer. It all started when I was making a chocolate peppermint loaf cake (coming soon!) and was frustrated that my cocoa powder was clumping in the batter as I stirred it. So, I grabbed my fine mesh sieve and sifted the powder into the cake on the next batch. Oh my, hello light and fluffy cake! Could this all be because I sifted my dry ingredients together first? Well, I tested this again just to be sure and yes, it does make a difference. Perhaps it’s why every professional baker on the planet recommends this. 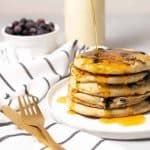 I have been cooking/baking for years and never sifted my flours, so I will also tell you that you can create delicious baked goods without doing it. However, it really does make a huge difference so if you haven’t done so already, I suggest that you try it! Trust me on this one. 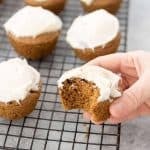 Gingerbread Muffins with cream cheese frosting! 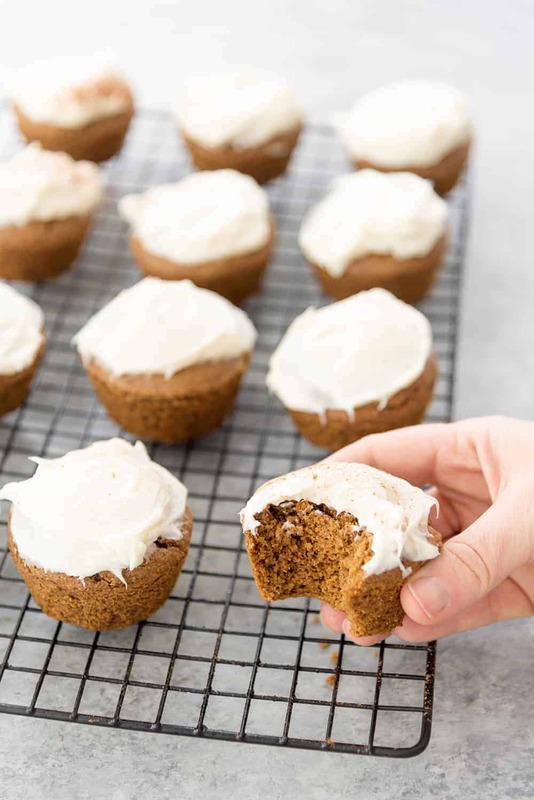 These healthier gingerbread muffins are topped with a rich, cream cheese frosting. Perfect for the holidays or gifting! 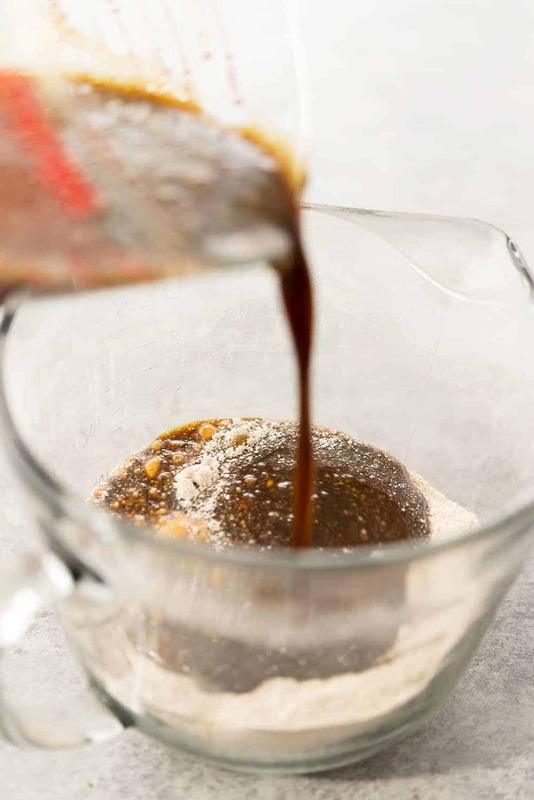 In a separate bowl, whisk together the egg, then add the maple syrup, molasses, milk and oil. Pour the wet into the flour mixture and stir until just combined. 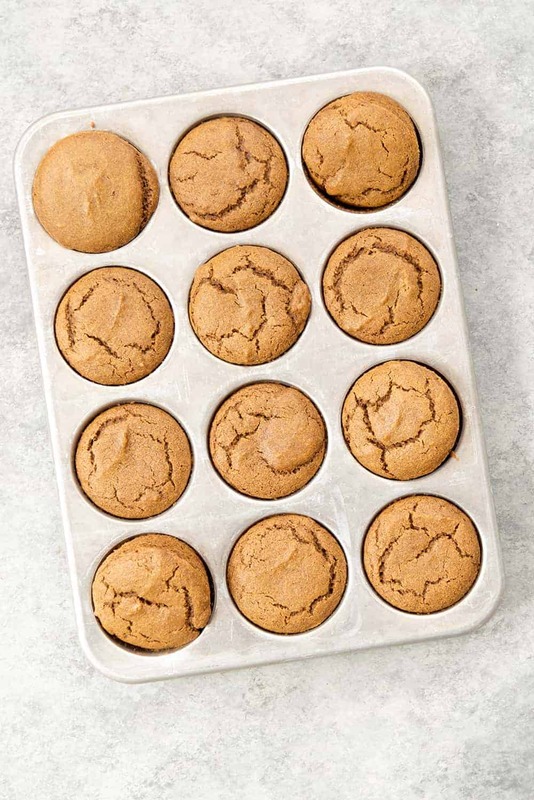 Pour the batter 3/4 of the way into a lightly greased or paper-lined muffin tin. Bake for 18 minutes, until a toothpick comes out clean. Remove from oven and place on a cooling rack to finish cooling. 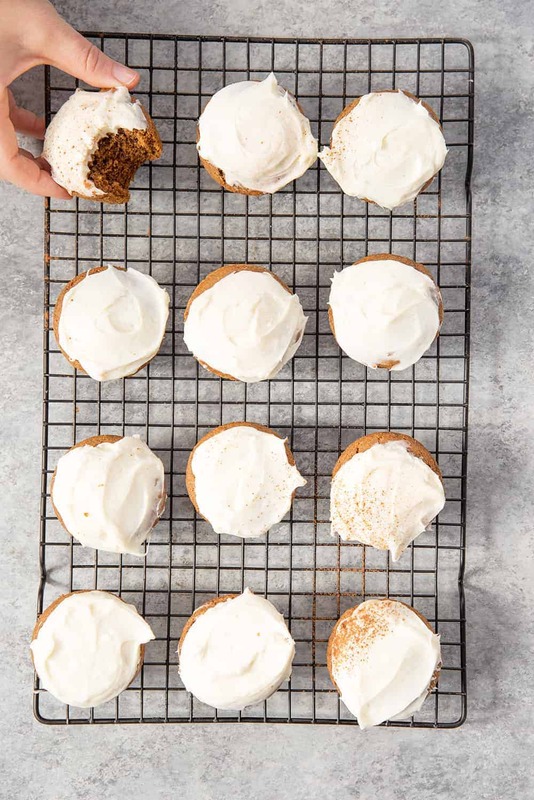 When ready, make the frosting. Add the cream cheese to the base of a stand mixer or a bowl with an electric mixer. Whip the cheese until creamy, then add in the powered sugar until stiff and creamy. Add in the vanilla.